All throughout this there is a sense of dissociation and essential loneliness about George. He puts on a face to meet the faces that he meets. He is isolated from his neighbors. They know - or suspect - he's gay, but they don't know of Jim's death. He told them Jim moved away. He is hyper-aware of how people see him - his neighbors, the people at the university who think he's straight, but a little eccentric because of his British origins - and he's constantly playing a part. He's never spontaneously himself in these settings, with the exception of one moment when he forgets himself and starts lecturing his students about minorities. (On which his views are dubious at best. He's a liberal, though, and seems to recognize racial minorities as potential allies.) This must have been his life before Jim died as well, but then he still had one person with whom he could be fully himself. But Jim is dead. The world seems to be getting worse, not better (and keep in mind George is someone who lived through two world wars). Urban life "has eaten up the wide pastures and ranchlands and the last stretches of orange grove; it has sucked out the surrounding lakes and sapped the forests of the high mountains." Nature is no longer a refuge. And yet George pushes forward. He is, as Isherwood describes him, "somebody who really has nothing to support him except a kind of gradually waning animal vitality, and yet he fights, like a badger, and goes on demanding, fighting for happiness." It is to Isherwood's credit that you get both sides of this situation in the second half of the story. On one hand, you are aware of George's complete, frightening lack of a support system. His one friend, Charley (Charlotte), is more dependent on him than he is on her and, besides, she doesn't really understand him. It is doubtful he will really be able to change his life. On the other hand, George is still reaching out (see his encounter with Kenny). He hasn't given up. I'm ambivalent about this book's ending. (If you don't want to be spoiled, this would be another good point to close this window and go read A Single Man.) Yes, it is beautifully written and sheds a different, more poignant light on many passages in the novel. Its relationship to the beginning (the quasi-symmetry, the way the fear of death from the beginning - "I am afraid of being rushed" - seems to now frame the whole story) is rather brilliant. But, at the same time, I wish this day in George's life didn't get a special status. It's not that I'm a fan of the modernist abdication from obvious meaning (although I am). I get that this book is not primarily an attempt to put everyday actions to artistic use. It is an attempt to tell a meaningful story. But the events of George's day were meaningful enough without it turning out to be the last day of his life. It was just a little too neat for me. This being said, I loved this novel. I am impressed with the flow of Isherwood's writing. It seems so simple and artless on the surface, yet it manages to convey a lot. It's also almost impossible to quote - not because the individual sentences are not beautiful on their own (which happens with some writers) - but because they work so well together you want to quote more or more. The same goes for dialogue. It's hard to put a finger on what exactly makes it flow so well, but it does. The fact that there are more books by this man to discover makes me very happy. Yes, yes, yes! That's all I can say. I adore this novel... I fell so hard for it, for all the reasons you say, and many of my own, of course. Very glad that someone (especially someone so able to articulate their thoughts!) chose to read this one for our event! I feel I haven't done it justice, because it's really an amazing book in so many ways, but in any case, I'm beyond happy to have discovered Isherwood through this event. By the end of the month, my list of thanks to you for organizing this event will be huge. I saw the film adaptation of this book and loved it, so I've really been wanting to read this novel. I am glad to hear that it is as good as I'd hoped! Maybe I'll bump it to the top of my list. Thank you! It's definitely worth reading this book. 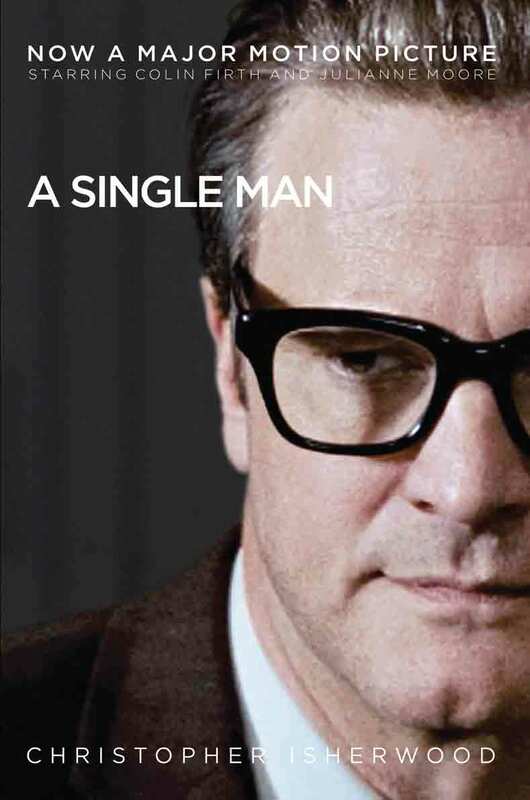 I haven't managed to watch the film adaptation because... um, Colin Firth crying was to much for me every time. But I read it's a little different from the book version. Sounds really interesting! I really like books that have a historical and political background to it. I'm gonna check this one out soon!